Finding a hotel in Sosua can be a daunting task, since there`s so many formal and informal lodgings in town. This Sosua Hotel Directory includes every single hotel in El Batey and nearby areas, from the big international hotel chains to the smaller lodgings and B&B`s in town. This guide has been updated to reflect changes during the past 5 years and the new hotels. We`d include the villas but since that type of lodging is not certified as a true hotel ( where guests get all inclusive or collective deals ) we`ll keep it a short list. The big hotels in El Batey are Casa Marina Beach, right in front of the beach it shares with Sosua By The Sea Hotel. Sosua Bay Resort is probably the largest, which is next to the Victorian House – both overlooking the beautiful bay of Sosua beach. El Rancho is a city hotel built in a very tipico Dominican style, with a penthouse that features thatched roof, stucco walls and the same design all throughout the property. This hotel is a more quiet proposition, for book readers and couples. Casa Valeria is a similar place but with a different layout, actually one of the best rated hotels in El Batey. Single men traveling to Sosua are too obvious in their intentions, so there`s a list of lodgings they will find quite welcome to their purposes: New Garden, Terra Linda, Alicia Beach Resort, Piero`s, Canto Del Delfin, Perla De Sosua, Villa Chessa, Voramar, are among the long list of places where single guys are welcome with visitors – these accommodations are often referred to as “Chica Friendly” -meaning guys get to ladies as guests into the place. Prices for the low cost hotels range from US$35 to US$70.00 per night, depending on type of room, location, standards and what`s on the deal. In the lower end there`s motels that charge about US$15-20.00 if you`re just staying over to sleep in town late at night, on transit or just need 4-5 hours for a quick shower or nap. High end suites will go as high as their standards will cost. Websites like Trip Advisor can provide a lot of reviews on any of these hotels, but beware that some can be biased to increase or decrease a hotel`s popularity. The best way to tell if a place is good or not is to talk directly to people via the forum or private message ( fake reviewers hardly stay online after posting ). 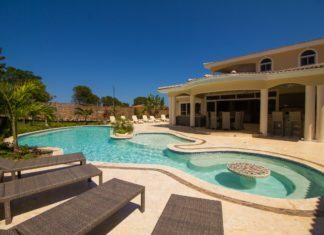 Bachelor parties in Sosua can be noisy, so it`s much better to consider a private rental such as a villa, with prices starting as low as $180.00 per day for a 2-bedroom unit. The private swimming pool is a blessing when traveling with groups of friends, not to mention having the entire place to themselves. There`s also 6-10 bedroom units. Among the important changes of the past few years are the closing of Piergiorgio, due to management changes. Casa Cayena was totally remodeled and reopened with the name Playa Alicia. 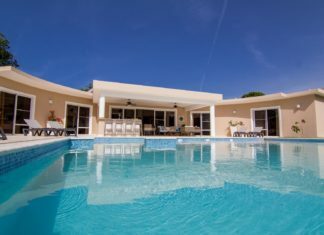 Casa Colibri also was completely renovated, will be reopening soon as a private rental. Don Antonio underwent serious renovations and now it`s called Las Palmeras. Perla de Sosua has new management following the tragic loss of Brent Lewis, its former owner and a dear friend to us. The top 5 hotels in Sosua should of course be ranked based on location, size and service level. In the hospitality industry the system is based on stars, 1-4 and the higher the better. In Today`s world, social networks are playing a key role empowering customers, so be sure to check the regular Facebook, Twitter, Instagram, Google Plus and Pinterest posts from the hotels you plan to visit. Fresh content makes a huge difference than just seeing photos taken years ago. Those are also the biggest size ones, as we prefer to compare by size first. 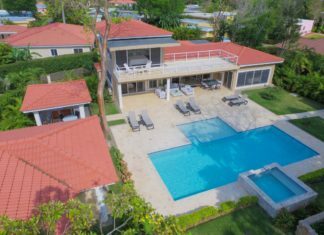 Places like Las Palmeras, Sosua Inn, Alicia Beach Hotel, Casa Valeria and El Rancho compete in a smaller category, but offer very good service at decent rates. The alternative are private villa rentals, it all depends on what the traveler needs are.